Hare Krishna temples offer daily classes on the Srimad-Bhagavatam, a Vedic text full of information about Krishna, the Supreme Being. 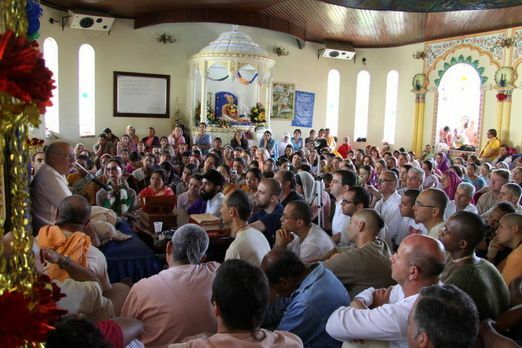 Here you can listen to classes given by devotees of Krishna at our temples in Alachua, Florida, Los Angeles, California, and London, England. If you have questions, ask one of our volunteers. And here's a list of other lecture-related articles, workshops, and archived live show audio on Krishna.com.